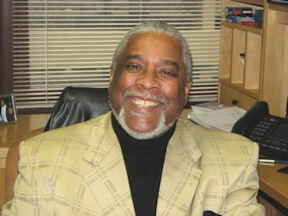 Bruce Williams, president of the board of directors, began documenting Arthur's work in 1977. He helped Arthur incorporate Ile Ife Films in 1994 and continues his stewardship of the Arthur Hall Collection to this day. Anita Canthorne accompanied her husband Kofi Asante as an observer. Kofi Asante is a newly elected member of the board of Ile Ife Films, and he is on the council of StarSpirit International, the non-secular organization of the Asona Aberade Shrine that sponsors cultural programs, tours, and productions. He is an alumnus of the Arthur Hall Afro American Dance Ensemble and the executive director of the National Comprehensive Center for Fathers and the deputy director of the Greater Philadelphia Urban Affairs Coalition. Lawrence Clark ("Big Mike," formerly "Little Mikey"), a newly elected member of the board of Ile Ife Films, grew up at the Ile Ife Center and is a drummer and alumnus of the Dance Ensemble. Lucia Chomeau Hunt, a newly elected member of the board and the clerk of the company, is a practicing attorney working for Pine Tree Legal, a nonprofit, public service firm in Portland, Maine. She is the only member of the board who did not know Arthur personally. Nancy Meader, a potter, teacher, and singer, accompanied her husband Abbott Meader as an observer. She took some of the photographs seen here. Joan Williams acted as the hostess for the meeting. She has been supportive of Arthur's work for many years and has a long resume of community service, including volunteer work for Planned Parenthood and serving on the board of Neighborhood Youth in South Central Los Angeles. Dr. Barbara Wallace, Queen Mother of the Asona Aberade Shrine, teaches clinical psychology at Columbia University. She acted as the volunteer secretary for the meeting. Robert Bruce Hunt, a newly elected member of the board, is a high school teacher with a master's degree from Columbia University in the administration of nonprofits. He is a candidate for the Maine Legislature [Note: In the event, Rob is now a newly elected member of the Maine House of Representatives, with nearly 53% of the vote in House District 131 on November 4, 2008]. Rob has known Arthur since he was a toddler. Arthur called him "Meathead Two." "Meathead One" is his older brother Evan. Nana Korantema Ayeboafo, a newly elected member of the board and our new artistic director, is the head of the Akan spiritual order in North America, the Akomfohene, a title achieved only after decades of careful training and spiritual dedication. In 1968, she joined Arthur Hall at the very inception of the Ile Ife Center in North Philadelphia. At Ile Ife she became a master drummer, a rarity for a woman, and eventually Arthur named her to be his music director. 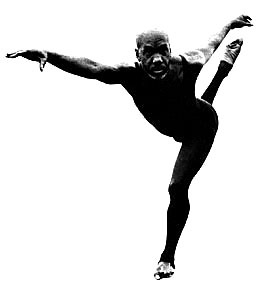 Nana traveled with Arthur on the Dance Ensemble's historic 1974 tour of Ghana, during which they were received by Nana Okomfohene Akua Oparebea, the great matriarch of the Akan tradition. Nana Oparebea encouraged Arthur and Nana Korantema to establish an Akan Shrine in Philadelphia. Three years later, the Asona Aberade Shrine became the first traditional African shrine to be recognized by the Commonwealth of Pennsylvania, and Nana Korantema has dutifully maintained it to this day. In 1999, Nana launched StarSpirit International, Inc., a non-sectarian global cultural arts, health education, and economic development initiative of the shrine. Nana has developed an international reputation as a performing artist and as a teacher of drumming and of the cultural arts. In recognition of her work, she recently received a prestigious 2008 Pew Fellowship in the Arts. She writes, "Arthur was my first mentor. He gave me an ever so rich experience of identity development, reclamation of African heritage, and intensive training in dance and drumming. Arthur Hall and Nana Oparebea have inspired me to do what I can to ensure the continuing dissemination of ancient African cultural traditions, traditions that hold the power to heal, transform, and restore, traditions to which both my two great mentors devoted their lives. With these goals in my heart, I am honored now to be the artistic director of Ile Ife Films and the Arthur Hall Collection." Abbott Meader, an original member of the board, is a painter, filmmaker, and professor emeritus of art at Colby College. Abbott was first camera for the production of Snake Dance Teacher Dance and actively supported Arthur's work in Maine from the beginning. Abbott's paintings hung on the third floor of Ile Ife Center for many years and now greet visitors to the Asona Aberade Shrine. Shelly Clark, Mikey's wife and an accomplished musician, recorded the meeting with a handheld camera. Patrice Janssen, an original member of the board and our original and continuing treasurer, teaches agriculture at the Waldo County Technical Center. In 1998, she was the Vocational Teacher of the Year for the State of Maine. She began dancing for Arthur over twenty years ago at the Belfast Dance Studio and has performed for Arthur as a company member, as a soloist, and as a concert manager. As Bruce says, "But for Patrice, there would be no Arthur Hall Collection here in Maine." Daryl Kwasi Burgee, a newly elected member of the board, was unable to attend the meeting due to conflicting engagements. Kwasi is among the preeminent drummers of Philadelphia. An alumnus of the Dance Ensemble, he traveled with Arthur and Nana Korantema during the historic 1974 tour of Ghana. Bruce distributed a preliminary budget for preserving, archiving and insuring the accessibility of materials in the Collection. The costs were based on his talks with Northeast Historic Film (NHS) of Bucksport, Maine, a nonprofit organization dedicated to film preservation. The board of directors was schedule to tour NHS the following day (which we did, August 24). Costs included making Beta-SP preservation masters of threatened or obsolete video formats and two DVD viewing copies. Bruce mentioned that Abbott already stores his films in the NHF climate-controlled vaults. Abbott discussed how we were lucky to have such a good facility so nearby and how we had one of the best cinemas in the nation even closer to hand. Robert Redford and the Sundance Foundation had chosen Railroad Square Cinema (RR2) of Waterville as one of the twelve best art cinemas in the US. Bruce mentioned that Arthur had danced at the renaissance of RR2 after the original had been destroyed by fire and that in fact Arthur had been involved in the creation of the original RR2, helping select army surplus projectors that were used when the moviehouse first opened. Abbott said that the camera originals that would be preserved could be seen by the public or researchers, but typically they are not. Abbott talked about having his films stored at NHF free of charge. Bruce said that the Collection would require more cubic footage than Abbott's films and that NHF offers a 15% discount for nonprofits. Nana said that the projected annual storage fee was quite reasonable. Bruce then spoke about producing DVD editions of existing works. Snake Dance Teacher Dance and Orisun Omi could be published immediately, given an adequate budget. Ile Ife House of Love and Fat Tuesday and all that jazz would need permission from their producers. Arthur Hall's Obatala and Tche Tche Kule: Arthur Hall's exercises for kids need more time in editing, and Obatala might be expanded with some additional narrative. Abbott questioned how quickly DVD editions could be produced and stressed the need for high quality. There are problems with some DVD's jamming or not playing, and there are problems with changing technologies. Bruce said that Huey and the staff at NHF were all knowledgeable about current best practices. There was a lengthy discussion about technical aspects of preservation and distribution. Kofi emphasized the need for a short DVD that could be used in fundraising. We discussed what needed to be done to make such a DVD. Bruce discussed monies available just for preservation. Bruce spoke of a recent donation of a digital editor that might be used to create a master for the DVD, perhaps starting with Obatala. [Note: In the event, the old Avid editor does not work.] Kofi reiterated the importance of making a short trailer for use in fundraising, just a 7-10 minute piece which would give some indication of the depth of the Collection. We agreed that letters of support could be addressed either to Ile Ife Films and the Arthur Hall Collection or to Asona Aberade Shrine, Inc., and donations could be made to either nonprofit as well. That would allow benefactors to have an option. In this way, we emphasize the importance of each of the two non-profits that Arthur helped to found. Names for letters of support were discussed. Kofi suggested that letters of support be addressed to Bruce Williams as president of Ile Ife Films and the Arthur Hall Collection. Production of the trailer DVD was discussed further. Bruce talked about a similar sample reel he had already produced for Arthur's proposed thirty year history of the Dance Ensemble. He talked about using clips from an audio interview with Arthur, some dance clips, images from the workshop and the reunion performance in Philadelphia, and from Arthur's work in the schools. Abbott suggested we could work with Huey, who is doing a film on jazz pianist Marian McPartland. Kofi talked about making a relatively cost-free package. "We want these dollars to reproduce for educational purposes, for a training center." We again discussed strategy and budget. Kofi proposed the following bottom line: Bruce needs $50,000 to administer the preservation and production work for the first year. Kofi stressed that it is key to ask for what we want at the correct dollar amount. He suggested another $50,000 for preservation materials and laboratory work, an adjustment to Bruce's figures. He recommended an additional $70,000 for production and marketing, including materials and a salary for a marketing director, and $40,000 to support the programs of the Alumni. Finally, Kofi recommended we calculate administration costs at 15%, producing a provisional 2009 budget of about $241,500. Abbott then wondered if we could get Colby College involved in the project. He will inquire. Bruce mentioned several other names and institutions, including Rowland Abiodun at Amherst College, who were already supporters and advisors to the Thirty Year History Project of the late 1990s. Nana mentioned the goal of taking the trailer and setting up meetings with people that we know would contribute, taking it before audiences. We discussed the importance of both preserving Arthur's legacy and insuring that the Alumni continue teaching it. We discussed the importance of giving credit where it is due, how Arthur was always careful to honor his teachers and to articulate how elements of his work were taken from various places and forms from around the world. On the other hand, Kofi mentioned several examples of Arthur's not getting credit for some of his ideas that have had a lasting impact on Philadelphia - the Please Touch Museum, The Avenue of the Arts, Odunde, the exhibition of Ghanaian gold, the African Village neighborhood, and his work with the Philadelphia Museum of Art to increase arts patronage. The point is that Arthur Hall and the Ile Ife Center for the Humanities led to the creation and strengthening of many venues that are still making millions of dollars in Philadelphia and beyond. Our goal should be to articulate Arthur's genius, how he attributed the essential elements of his art to their sources and used them to create a new culture and a contemporary art that has had a lasting influence in Philadelphia and beyond. Kofi and Rob will work on the business and marketing plan, and will create the framework for the proposal with Lucia's help. 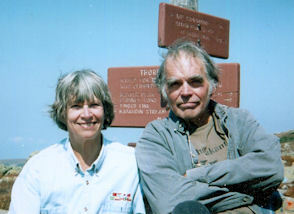 Bruce and Nana will work on the sample DVD, with help from Patrice and Abbott. Abbott will inquire at Colby College about institutional support there. Kofi will draft a form letter based on a one page concept paper to be used by the various directors to request letters of support. [Note: Kofi's draft is the five-point action plan articulated on the main page of www.ileife.org] Kofi suggested that the Maine mailings include people from academia, government officials (local, state and federal), and anyone prominent in the religious community. Nana and Kofi will complete plans for the dinner, traditional African Outdooring, and concert at Philadelphia Community College on December 13, 2008. The nine members of the board were elected to another term of service. Nana Korantema was named as artistic director. Nana Korantema presented Bruce with copies of her books, Celebrating the Life of Nana Okomfohene Akua Oparebea and Tigare Speaks, and her CDs, The Greatest Love and Alignment, in gratitude for his dedication to Arthur's vision for over thirty years. Looking forward, Nana also made a donation of $500 to the Arthur Hall Collection. The meeting adjourned for a dinner of African peanut stew which had been prepared earlier by Nana with Bruce's help. Based on the contemporaneous notes of Barbara C. Wallace, Ph.D.